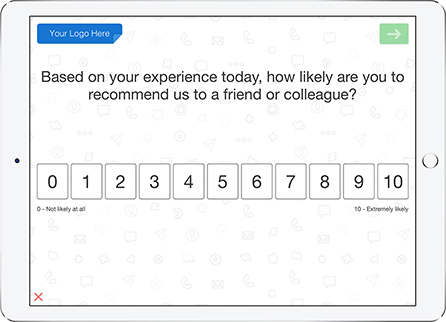 This type of survey serves as an alternative to traditional customer satisfaction surveys, and allows companies to measure the customer's overall satisfaction and brand loyalty with just one single question. NPS is used across multiple industries and makes it easy to compare scores against competitors. 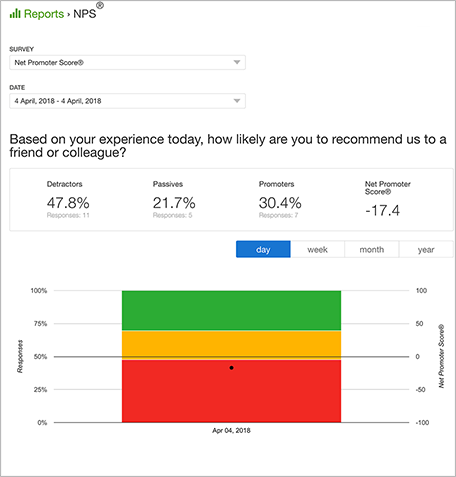 Net Promoter Score (NPS) has been a trusted method of measuring customer loyalty for years. Ultimately, it is a gauge to see how likely a customer is to recommend your business to someone else. 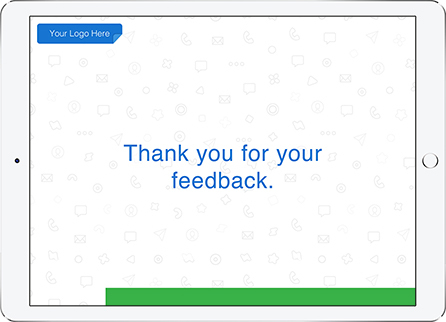 This survey template is only two questions long, increasing the chances of full completion by customers. In a traditional customer satisfaction survey, a customer who is ‘satisfied’ does not necessarily translate to a repeat customer or a loyal customer. A NPS survey allows business managers to act on information and make any necessary corrections. 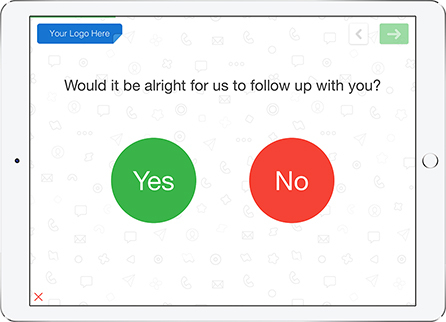 NPS is measured using one simple question, “How likely are you to recommend our business to someone else?” Obviously the details of the question may change but the message is still the same. 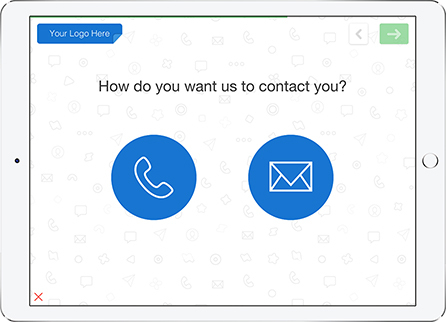 You want to find out if current customers will recommend your business. The concept behind NPS is rooted in customers being divided into three categories: promoters, passives, and detractors. Customers answer on a scale from 1 -10. At the top of the scale, customers are very likely to recommend your business. At the bottom of the scale, customers are not at all likely to recommend your services. Detractors (respond 1-7) - These are unhappy customers who are likely to switch to competitors. Worse they will warn other people not to do business with you. Passives (respond 7-8) - These are happy customers, but they would still switch to competitors if a good offer presented itself. These customers could be transformed into promoters if you improved their customer experience. Promoters (respond 9-10) - These are loyal customers who regularly use the your product or service and promote your business to others. To calculate your overall NPS, you need to calculate the percentage of detractors and the percentage of promoters. Then subtract the percentage of detractors from the percentage of promoters. Do you need a better way to measure customer satisfaction and brand loyalty? 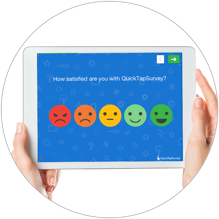 QuickTapSurvey is a great tool for capturing NPS data from customers. 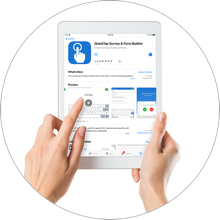 Put aside your pen and paper surveys and get started building beautiful surveys with QuickTapSurvey today. If you would like to collect feedback unattended, embed your tablet in a kiosk enclosure. 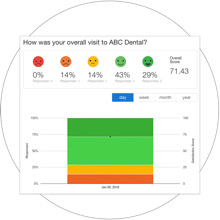 Visualize your customer feedback into professional and shareable reports to analyze and take action on your data. 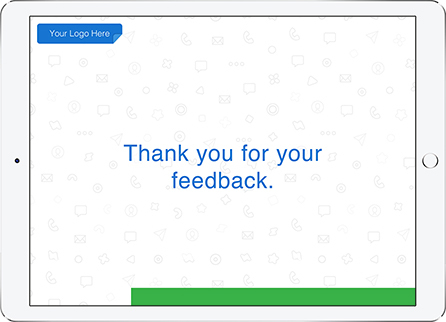 Add your own logo, custom background images, and colors to your net promoter score survey to suit it to your brand. 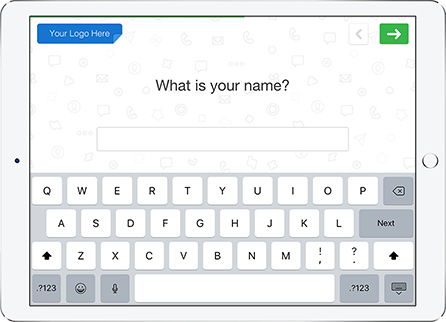 Sign up for a plan and create your first survey online. 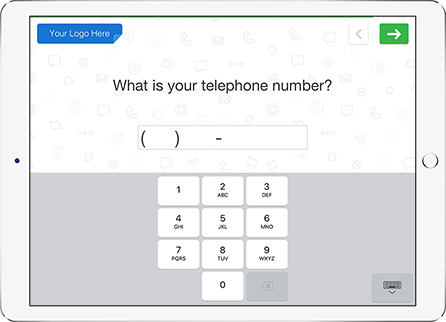 You can start with this template or easily create your own in minutes with our survey builder tool. 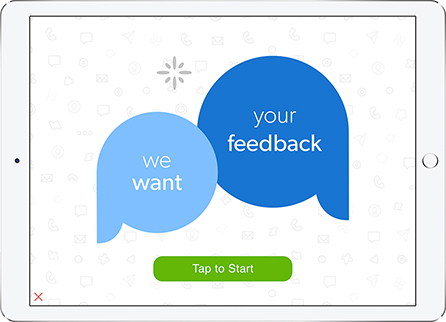 Download the app on your tablet, sign in to your account and load your survey to start collecting customer feedback. Collect customer feedback on your tablet. You can even mount your tablet into a kiosk for unattended collection. Review and analyze your response results using our analytics features. 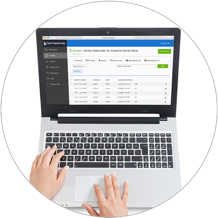 Generate professional reports for sharing and analysis. Take action with your data to improve customer satisfaction. QuickTapSurvey makes it easy to view responses and act on your data. See your results in one spot on the web app and download your data in XLS or CSV format for analysis.